I am happy and honoured to present the Post-Synodal Apostolic Exhortation Amoris Laetitia, which Pope Francis signed on 19 March, the Solemnity of Saint Joseph, and which is made public today. First of all, it is a pleasure to express my deep gratitude to the Holy Father for having given the Church this valuable document on love in the family. I would like to thank all who in various ways have offered their contribution; in particular, the Synod Fathers of the two Assemblies, the General Relator and the Special Secretary, the Pontifical Council for the Family and its President. For Amoris Laetitia to be released in the very midst of the Jubilee of Mercy is significant, and to this the text refers three times, directly citing the Bull of Indiction Misericordiae Vultus six times. The document crowns the two years of work of the Synod, whose broad reflection has included all dimensions of the family institution, which today suffers from severe crises throughout the entire world. Human societies, marked by conflict and violence, need reconciliation and pardon starting with their vital core: the family. The Jubilee of Mercy is truly good news for families of every continent, especially those which are wounded and humiliated. The title Amoris Laetitia (AL) is in continuity with that of the Apostolic Exhortation Evangelii Gaudium (EG): from the joy of the Gospel to the joy of love in the family. The synodal process has presented the beauty of the family by speaking of love. This constitutes the foundation of the family institution, because God is love among Persons, Trinity and not solitude. In this document, the Holy Father deepens the “gospel of marriage and the family” (AL 89) and offers concrete pastoral orientations which, in continuity with the previous EG, take on new dynamism and value. “The various interventions of the Synod Fathers, to which I paid close heed, made up, as it were, a multifaceted gem” (AL 4) – writes the Holy Father, evoking the geometric design of the polyhedron already used in EG (cf. 236). In fact, the results of the Synod Fathers’ work brings together the diversity of experiences and points of view of the particular Churches. Disputes between different opinions took place with freedom and openness, which allowed an almost unanimous outcome to be achieved. The principle according to which “time is greater than space” (EG, 222-225; Al, 3, 261) suggests that time is needed and there are different ways to find the best solutions to the different situations. In this regard, the Exhortation says: “Unity of teaching and practice is certainly necessary in the Church, but this does not preclude various ways of interpreting some aspects of that teaching or drawing certain consequences from it” (AL, 3). For example, the text refers to three prime situations in which the passage of time is necessary: in preparation for marriage (cf. AL, 205-216); in the education of children (cf. AL, 261); in mourning a death in the family (cf. AL, 255). In full harmony with the Jubilee period that the Church is living, a suitable key for reading the document is “the logic of pastoral mercy” (AL, 307-312). The Holy Father clearly affirms the doctrine of marriage and the family, especially in ch. III, and he proposes it as an indispensable ideal. Referring to young people, he states: “In order to avoid all misunderstanding, I would point out that in no way must the Church desist from proposing the full ideal of marriage, God’s plan in all its grandeur. […] Today, more important than the pastoral care of failures is the pastoral care to strengthen marriages and thus to prevent their breakdown” (AL, 307). On the other hand, the Pope does not overlook the fragility of families and even their failure. From EG (n. 44): “Without detracting from the evangelical ideal, there is a need to accompany with mercy and patience the eventual stages of personal growth as these progressively appear”, making room for “the Lord’s mercy, which spurs us on to do our best” (AL, 308). The Exhortation is made up of nine chapters, subdivided into 325 paragraphs with 391 notes and the final prayer to the Holy Family. The Holy Father explains the development of the document (cf. AL, 6): the prologue, inspired by Sacred Scripture (ch. I), gives the appropriate tone to the document and leads to considering the current situation of families (ch. II), in light of the Church’s teaching on marriage and the family (ch. III). He then treats love in marriage (ch. IV) which becomes fruitful in the family (chap. V); this is the heart of the document. Some pastoral perspectives follow for building solid and fruitful families according to God’s plan (ch. VI) and to improve the education of children (ch. VII). Chapter VIII is an invitation to mercy and pastoral discernment when facing situations that do not fully meet the ideal that the Lord proposes. The Exhortation concludes with some guidelines on family spirituality (ch. IX). In the introduction, Pope Francis himself explains the reason for the inevitable length of the text. Reflecting the synodal journey, the post-synodal Apostolic Exhortation would necessarily include not only the questions strictly connected to the family, but also a wide variety of related topics. The length and detail of the text require leisurely reading, not necessarily continuous, and various readers may select according to their specific interests (cf. AL, 7). Amoris Laetitia is a further outstanding expression of the pontificate of Pope Francis; it is a splendid synthesis and points towards further horizons. The fundamental basis of the Exhortation is made up of the final documents of the two synodal assemblies on the family: 52 citations from the Synod Report (Relatio Synodi) 2014 and 84 from the Final Report (Relatio Finalis) 2015, for a total of 136. In this way the Holy Father attributes great importance to collegial and synodal work, welcoming it and integrating it. Furthermore, the text makes numerous references to the Fathers of the Church (St. Leo the Great and St. Augustine), to medieval and modern theologians (St. Thomas, cited 19 times; St. Dominic, Blessed Jordan of Saxony; Alexander of Hales; St. Ignatius of Loyola, 3 times; St. Robert Bellarmine; St. John of the Cross); to contemporary authors (Joseph Pieper, Antonin Sertillanges, Gabriel Marcel, Erich Fromm, St. Thérèse of Lisieux, Dietrich Bonhoeffer, Jorge Luis Borges, Octavio Paz, Mario Benedetti, Martin Luther King). Among the documents of previous Popes are mentioned, for example: Casti Connubii of Pius XI;Mystici Corpori Christi of Pius XII; Humanae Vitae of Blessed Paul VI (twice directly plus 4 times in other documents cited in the text); the Catechesis on Human Love (23 times) and Familiaris Consortio (21 times + 6) of St. John Paul II; Deus Caritas Est of Benedict XVI (9 times + 1). The Second Vatican Council is well cited (22 times + 6), as is The Catechism of the Catholic Church(13 times + 2). Moreover, in addition to the citations of Evangelii gaudium (16 + 1), there are 50 citations from Pope Francis’ catecheses on the family at general audiences. Finally, other documents of the Holy See are cited 12 times and documents of Episcopal Conferences 10 times. Worth noting are the expressions the Holy Father uses to acknowledge the relevance of the work undertaken during two years by the Bishops of the whole world with their Churches, when he says “I support” (AL, 297), “I am in agreement with” (AL, 299), “I consider very fitting” (AL, 302). He refers explicitly to the Synod or to the Synod Fathers about 20 times. 1) In an era of global crisis in which families often suffer, the Exhortation takes a positive look at the beauty of married love and the family. The space dedicated to love and to its fertility, particularly in chapters IV and V, is an original contribution, both for the overall content and for the way of presenting it. Each expression of love in the hymn to love of St. Paul (1 Corinthians 13:4-7) is a spiritual and existential meditation on the life of the spouses, sketched with wise insight, by an experienced spiritual guide who encourages growth in conjugal love. 2) The Bishop has the task of leading the people of God, following the example of Jesus the Good Shepherd who “calls his own sheep by name and leads them out” (John 10:3). The pastoral ministry of the Bishop also involves the exercise of judicial power. The Holy Father has defined this through the two Motu Proprio, Mitis iudex Dominus Iesus e Mitis et misericors Iesus, as follows: “With these, I wished to make clear that the Bishop himself in the Church over which he has been appointed shepherd and head, is by that very fact the judge of those faithful entrusted to his care” (AL, 244). It follows that the Bishop, through the priests and properly trained pastoral workers, makes appropriate services available to whoever are experiencing family difficulties, crisis and failure. 3) Like any pastor, Pope Francis addresses his paternal care to the “immense variety of concrete situations” (AL, 300). Therefore, he says: “it is understandable that neither the Synod nor the Exhortation could be expected to provide a new set of general rules, canonical in nature and applicable to all cases” (ibid). 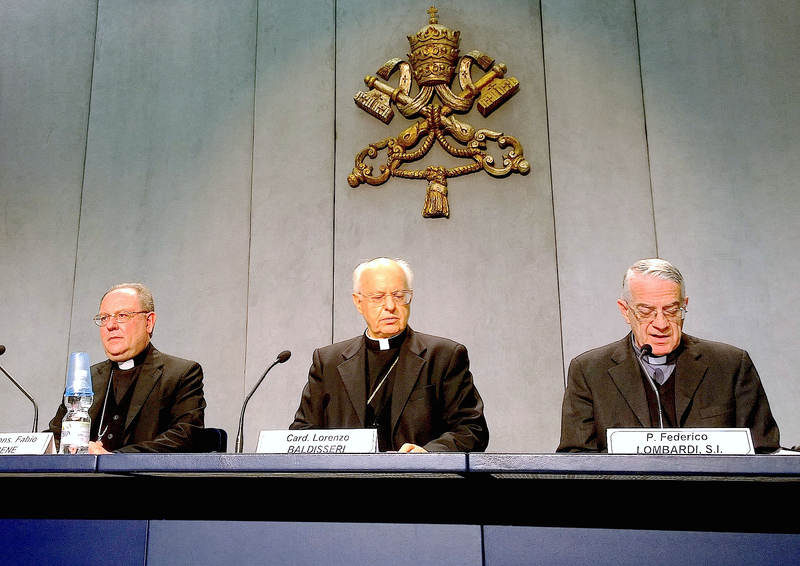 Since – as the Synod has affirmed – “the degree of responsibility is not equal in all cases”, it is necessary to proceed with “a responsible personal and pastoral discernment of particular cases” (ibid). The baptized living in a second marriage must be integrated and not excluded. In this regard the Exhortation is very clear: “Their participation can be expressed in different ecclesial services, which necessarily requires discerning which of the various forms of exclusion currently practiced […] can be surmounted” (AL, 299). To accompany and integrate people who live in these so-called “irregular” situations, pastors need to look them in the face one by one. The document says that “priests have the duty to ‘accompany [the divorced and remarried] on the way of discernment in helping them to understand their situation according to the teaching of the Church and the guidelines of the bishop’” (AL, 300). In this process of discernment, “it will be useful to make an examination of conscience through moments of reflection and repentance. The divorced and remarried should ask themselves: how did they act towards their children when the conjugal union entered into crisis; whether or not they made attempts at re-conciliation; what has become of the abandoned party; what consequences the new relationship has on the rest of the family and the community of the faithful; and what example is being set for young people who are preparing for marriage” (ibid). Discernment takes place through “conversation with the priest, in the internal forum, [and] contributes to the formation of a correct judgment on what hinders the possibility of a fuller participation in the life of the Church and on what steps can foster it and make it grow” (ibid). 4) From the perspective of fulfilling the ideal of marriage, the Exhortation has put great emphasis on the preparation of engaged couples for the sacrament, in order to provide “the help they need to receive the sacrament worthily and to make a solid be­ginning of life as a family” (AL, 207). The Pope states that, in this preparation, it is necessary to draw from the “doctrinal beliefs” and the “precious spiritual resources” of the Church as well as to have recourse to “practical programmes, sound advice, proven strategies and psychological guidance” (AL, 211). The Exhortation also signals the need for this journey to continue after the celebration, especially in the first years of married life. The Pope reminds the newly married couple that “marriage is not something that happens once for all. […] Their gaze now has to be directed to the future that, with the help of God’s grace, they are daily called to build” (AL, 218). 5) The document states that “the Fathers also considered the specific situation of a merely civil marriage or, with due distinction, even simple cohabitation, noting that ‘when such unions attain a particular stability, legally recognized, are characterized by deep affection and responsibility for their offspring, and demonstrate an ability to overcome trials, they can provide occasions for pastoral care with a view to the eventual celebration of the sacrament of marriage’” (AL, 293). 6) In accompanying the frailties and treating the wounds, the principle of gradualness in pastoral care reflects divine teaching: how God cares for all his children, beginning with the weakest and furthest away, so “the Church turns with love to those who participate in her life in an imperfect manner” (AL, 78) because they all have to be integrated into the life of the ecclesial community (cf. AL, 297). The Pope states, in fact, that “no one can be condemned for ever, because that is not the logic of the Gospel!” (ibid). Not limiting itself to so-called “irregular” situations, the Exhortation, therefore, opens up the wide horizon of undeserved grace and unconditional mercy for “everyone, in whatever situation they find themselves” (ibid). In the face of the upheavals that are disrupting the world today, we discover the greatness of God and his love for all people who, constantly wounded, need to be welcomed and cared for by Christ, the Good Samaritan of humanity. From the awareness that God offers and gives mercy and that “the earthly city is promoted not merely by relationships of rights and duties, but to an even greater and more fundamental extent by relationships of gratuitousness, mercy and communion” (CV, 6), emerges the need to go beyond the human horizon of justice with an impulse, a leap forward. This only comes from love, which becomes merciful in the face of human frailty, and is able to inspire courage and hope. The Apostolic Exhortation is set in this context. It touches the heart of the Gospel and heals the wounded person, with this expression: “Mercy is the fullness of justice and the most radiant manifestation of God’s truth” (AL, 311).